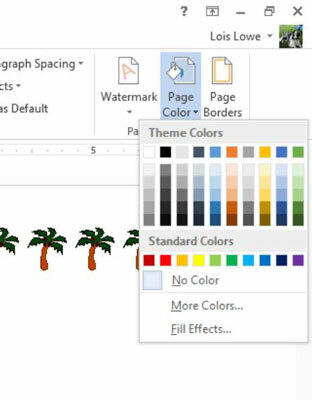 Page backgrounds enable you to apply a color fill to the background of each page of your Word 2013 document. This color fill can be a solid color, a gradient, a pattern, a texture, or even a picture. This background doesn’t print by default, but you can change Word’s settings to make the background print if you want. 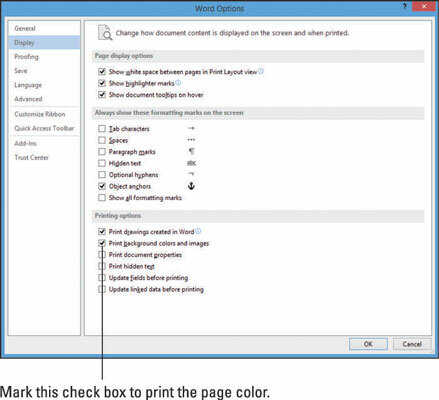 In Word 2013, the page background is referred to as the page color. Printing the background may use a lot of ink in your printer. This can get expensive, especially if you use an inkjet printer. In a Word 2013 document, choose Design→Page Color. A palette of colors appears. Click any color you like. The page background changes to that color. Click the Custom tab; enter the following values: Red 230, Green 230, Blue 100; and then click OK. The background changes to a shade of yellow. The Fill Effects dialog box opens. Click the Texture tab, click the Newsprint texture, and then click OK. The background changes to the Newsprint texture. If you have your own texture files, you can use them. Click the Other Texture button to browse for the files on your hard drive. Click the Gradient tab and then select the Preset option. 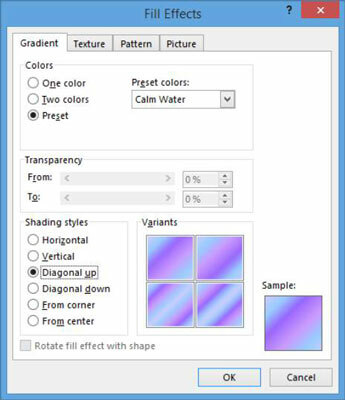 From the Preset Colors drop-down list, choose Calm Water; in the Shading Styles area, select Diagonal Up; and then click OK to apply the gradient background to the document. 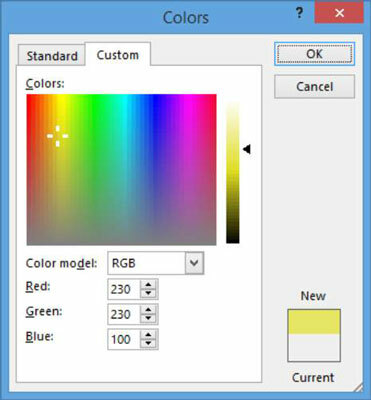 You can also define your own gradients by selecting One Color or Two Colors and then picking the colors to use. For more practice, try creating a gradient out of two of your favorite colors. Notice that the print preview doesn’t include the background. Click Options to display the Word Options dialog box. Click Display in the navigation pane at the left. 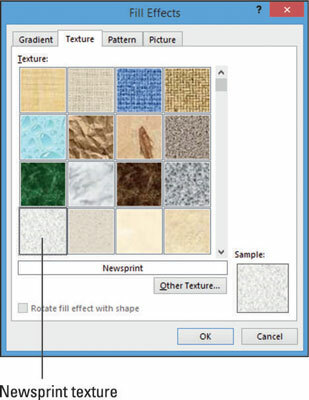 Select the Print Background Colors and Images check box and then click OK.
Notice that this time print preview does include the background. Click the Home tab to leave Backstage view without printing, repeat Steps 12 through 13, and deselect the Print Background Colors and Images check box.